Under abnormal conditions, blood moons can occur at odd times of the day. But normally, a blood moon cut scene will occur just on midnight after about 3 hours (in real-world terms) of game activity. But the clock is paused at ‘inactive’ times such as when your inventory is displayed, you’re viewing a cut scene, or you’re interacting with (say) a shopkeeper. You probably know that when a blood moon occurs, monsters are respawned. So are weapons that are just lying about (but not those in chests as they are never respawned once emptied). Also, the test of strength shrines are reset and the enemies respawned, providing a great opportunity to farm some of the most powerful weapons in the game. So it can be a big advantage to track blood moons and know when the next one is due. For example, you can pick up a great weapon just before and another just after the blood moon. And if you have picked up a certain weapon, there’s no point going back to that spot until after the next blood moon. But the actual calculations for scheduling a blood moon are complicated and not that interesting, so I like to use an informal way of tracking time. Although I explored around the clock when I was new to the game, I now usually explore the above-ground world during the daytime. Each night, I sit ‘until morning’ by a campfire or in a bed. This helps me avoid unnecessary battles with night creatures, is a good time to cook, and lets me restore health. It can also be a good time to buy or sell and generally interact with NPCs. I also find it somehow more natural and immersive for Link to rest up at night. If you sleep each night and wake in the morning, you will normally experience a blood moon every 8 to 10 days. As well as simply tracking each night’s sleep, you can also note which resources you have plundered since the last blood moon – I find that helpful rather than trying to rely on my memory. Once you have counted 8 or 9 days but need more certainty, you can check with Hino, the NPC at Duelling Peaks stable who will tell you if a blood moon is due that night. 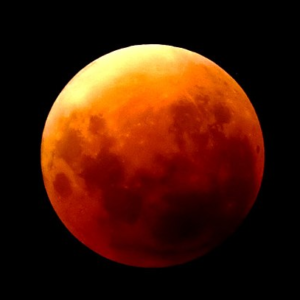 There are situations where a blood moon will not happen as expected. For example, if you rebuild a champion weapon just before a blood moon is due, there is a short cut scene with a blacked-out screen while you hear the artisan at work. When it ends, you receive the new weapon and the time is set to 5am – ie a night has passed. No blood moon cut scene has occurred – but in fact the blood moon reset and respawning has taken place as expected. If this happens, you may count past 11 nights without experiencing a blood moon, but it has taken place without you being aware of it.